Though you may want to represent yourself or do traffic school, know that retaining a lawyer is always another option. Want to learn more? Call us for a case review at (407)228-3838. We will go over your ticket, free of charge. 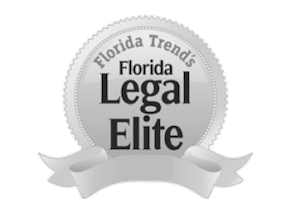 Most of the moving violations in the state of Florida involving speeding, especially in the Orlando, Miami, and Tampa areas. Once you receive a ticket, you can then decide which path you choose to take. One is to simply pay the fine. Another is to pay the fine and attend traffic school, and the last option is to go to court over the ticket. When you go to court to pay for your ticket, there is a chance you will be facing the police officer that issued you the ticket, along with a judge that could be uncooperative and may ask you difficult questions about the date of the arrest. Call us at (407) 228-3838 for your free consultation discussing how to handle your ticket situation. If you decide to pay the fine and be done with it, you will first need to know the exact amount of the fine. The clerk of the court will be able to tell you the exact amount if you are not sure. There are guidelines for this type of traffic violation and the amount owed. The faster you were going over the limit, the more you will pay. Keep in mind that these are guidelines and may not accurately reflect the exact amount owed. For example, fines will be doubled in school zones. If you decide to attend traffic school, you will still have to pay a fine, although the fines are reduced slightly. You will have to pay for traffic school, but the benefit will be for your insurance. If you attend traffic school, your insurance company will not be able to cancel your policy nor raise your insurance rates because of your traffic ticket. The money saved on your policy is usually worth the price of attending traffic school. If you decide to fight your ticket in court, make sure that you speak to an attorney first. Fighting a speeding ticket is one of the most difficult tickets to win and you will need strong evidence. In fact, Florida judges are notorious for asking an offender for paperwork on the most recent calibration of their speedometer. The same will be asked of the radar gun of the police officer. Naturally, the officer will have his paperwork, and the offender will have nothing. Keep in mind that losing in court will make things worse. A judge will impose additional fees to cover court costs and may even assess points against your license that otherwise would not have occurred. Our traffic attorneys at The Umansky Law Firm handle all kinds of traffic violations in Florida. If you are charged with a speeding ticket in Orlando, contact us today at (407)228-3838.